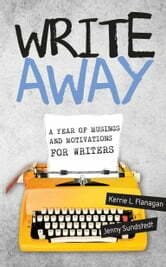 Write Away; A Year of Musings and Motivations, combines monthly insightful and humorous stories with tips, tools and interactions that encourage writers to reflect on where they are and where they want to be. The essays remind readers of the unique nuances in the life of a writer and provide practical advice for strengthening skills and knowledge. Each month opens with a place to record goals and action plans. A back section provides resources and tools to help readers stay on track and stay informed. Inspirational quotes, reflective questions, and short exercises keep motivation and energy flowing. The writing journey can be long, and full of twists and turns, but there is always a lot to learn and laugh about along the way! "With wisdom and humor, these two ladies have done a great job of giving writers a helping hand." "For me personally this book is a five star pick me up! It applies needed motivations in fun and engaging way for writers of all genres, ages and experience." "Part writing devotional, part planner, part motivator, the book is a wonderful resource that pushes its reader to the next level of writing. Whether you struggle with creativity, organization, procrastination, whatever your writing poison, Flanagan and Sundstedt are sure to inspire you to overcome any hurdle creating a block in your writing career." 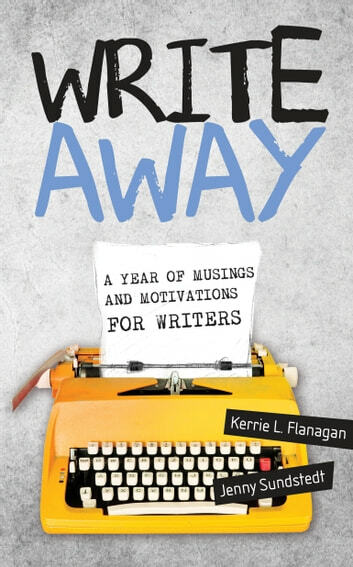 Kerrie Flanagan and Jenny Sundstedt's "Write Away" is a truly inspiring book that all writers should own. Part writing devotional, part planner, part motivator, the book is a wonderful resource that pushes its reader to the next level of writing. Whether you struggle with creativity, organization, procrastination, whatever your writing poison, Flanagan and Sundstedt are sure to inspire you to overcome any hurdle creating a block in your writing career. "Write Away" is organized into motivational thoughts and snippets of illumination month by month. There's also room for notes, goals, ideas and even doodles at the end of section, which I really appreciate. So many times I read something, get an idea and forget it a few days later, but this resource makes sure I immediately get a chance to apply whatever the chapter's just taught me. In fact, each section is like a mini-class at a writing conference, something you can chew on and incorporate into your writing in the days ahead. I would definitely recommend "Write Away" as one of the better writing resources I have ever read. It is the perfect mix of inspirational thoughts and practical exercises/ideas.